I have often thought that creating a murder mystery story around Snow White would be an exciting and engaging idea. However, fairy tales are engaged in constant revisioning and reimagining and I found out that my vision had already been realized, though with more realism and less fairy tale content… and it had been realized in the strangest of places – on Murder She Wrote. For those of you unfamiliar with Murder She Wrote, it ran from 1984 until 1996 and featured widowed mystery writer Jessica Fletcher who travelled from place to place solving murders. The show engaged in a lot of meta activities, engaging in cross-overs with other shows, proposing solutions for murder mysteries filmed in the 40s, and, as I discovered, even playing with fairy tale narratives. The two-part episode Mirror, Mirror On The Wall is a fairy tale adaptation, but brought into the world of Jessica Fletcher and the fictional Maine town of Cabot Cove. Like the fairy tale Snow White, the story features attempted murder, and, of course, a poisoned apple. It is also a story that features jealousy. However, rather than engaging in the ageism of Snow White, Mirror, Mirror on the Wall features two women of roughly the same age. It does still engage in jealousy, but is instead about one writer, Eudora McVeigh, who used to be a best-selling mystery author who is now experiencing writer’s block and her jealousy of Jessica Fletcher’s rising success in the genre. By featuring two ageing women, Mirror, Mirror On The Wall intentionally disrupts the idea of older women being threatened by and afraid of younger women, instead placing the interest of the episode on the competitive world of creative writing and one woman’s fear of another’s success. Although Murder She Wrote has anti-feminist elements, often directly criticizing feminists, it, perhaps unintentionally, brings attention to the problem of women who don’t engage in ideas of sisterhood and instead seek to oppress each other. Rather than directing her anger at a system that only favours one female mystery writer at a time, Eudora begins the episode by wanting revenge on Jessica, seeing her success as inherently threatening to her own instead of seeking revenge on her publisher who is setting her aside in favour of Jessica. She ignores the men who are oppressing her and instead turns her anger toward another female writer, not seeing the potential for a united front by both of them sharing resources and challenge the patriarchal system and male publisher who is seeking to pit them against each other. Fascinatingly, Eudora keeps referring to Cabot Cove as a little fairy tale town, pointing out the town’s perceived simplicity and wholesomeness… however, as we who read fairy tales know, there is a dark side to fairy tales, and not only does this fairy tale end in violence and murder (like so many), in this episode, the Sheriff (who moved from New York for a nice, simple life), points out one of the key issues of the show – for a small, quiet little town… there are the highest number of murders per capita. The show features about 24 episodes per year, many of them set in Cabot Cove, and lasted for 12 seasons… and there is at least one murder per episode in addition to multiple attempted murders. Cabot Cove’s quaint, dreamy, fairy tale setting is constantly being undone by murder in order to keep the show progressing. Ultimately, like most Murder She Wrote episodes, the fairy tale storyline is secondary to the main focus on the show – murder. Ultimately, it is a story that engages with human psychology, clues, criminal slip ups, and the all-important confession. Roz Rosen’s Snow White is a Deaf princess born to hearing parents. Her parents don’t know how to act around a Deaf daughter and decide instead to call a doctor, who tells them that the princess needs a speech therapist to be taught to speak English and speech-read instead of learning ASL and teaching it to Snow White. Snow White tries to explain to the Queen that the attempt to force her to learn spoken language is preventing her access to other education, but is told that she needs to adapt to a hearing world. She is told to sit on her hands and forced to use sound to achieve her needs. When people spoke around her, they refused to include her in their conversations, telling her “later”. As occurs in Snow White tales, the Queen becomes jealous of Snow White’s beauty, but she ads to her discrimination of the princess by saying “I will not be outdone by a deaf-mute”. When Snow White is able to escape from the Queen’s clutches, she finds herself at the home of seven Deaf Dwarfs who have an immersive Deaf home with lights that flash instead of relying on sound and the regular use of sign language. These Dwafs, rather than being miners, turn out to be human rights advocates who work for The National Office of Deaf People and fight for the right to quality accessibility, access to employment, the right for Deaf people to own land, marry, and have children, and access to sign language for children. They introduce Snow White to the world of Deaf culture, giving her a world that runs counter to the audist, ableist world that she came from. When Snow White is poisoned by the Queen and awakened by a Prince, the first thing that she does is sign to him. When he indicates that he doesn’t understand sign language, she immediately goes back to her poisoned sleep, unwilling to be awakened into another world of audism and ableism. 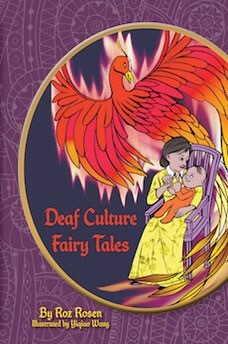 Rosen’s tale reveals a sense of wonder and magic beyond the regular fairy tale kind – a magic of finally discovering that there is a whole world of Deaf culture available and that there is an escape from audism and ableism. This is a tale of transformation, but not transformation brought about by a kiss, but, rather, transformation wrought of understanding and access to language and human (or Dwarf) rights. What would we do with fairy tales if they didn’t have villains? Fairy Tale villains are so delightfully exciting and they inject that needed bit of challenge and excitement into a tale. They have so much potential for complexity and depth. 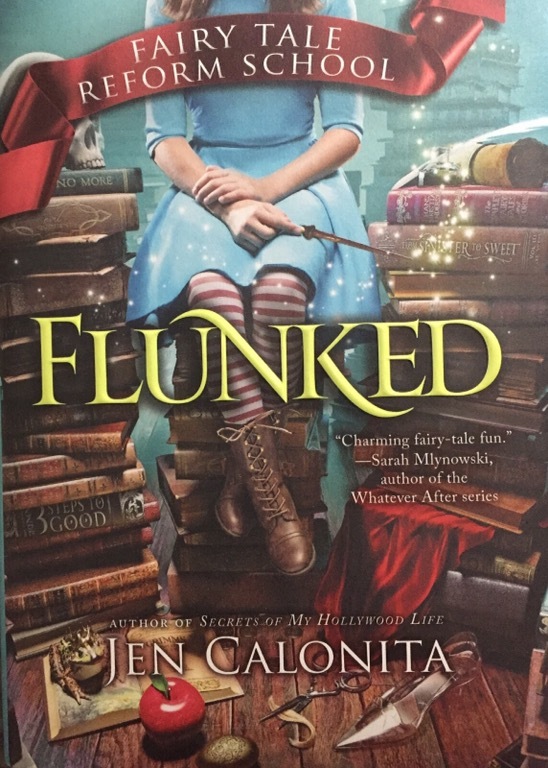 Jen Calonita’s “Flunked” is a tale that brings together fairy tale villains from narratives like Snow White, Cinderella, The Little Mermaid, Red Ridinghood, Sleeping Beauty, and Rapunzel in a tale of redemption and relapse into villainy. When Cinderella’s evil stepmother Flora recognized that she was living in a society that rejected her for her villainous path, she sought to redeem herself in the eyes of her fellow citizens by creating a school devoted to the reformation of villains and those who show signs of wandering toward villainous paths. She created the Fairy Tale Reform School, devoted to turning villains into heroes and giving them the skills that would allow them to be successful. Employing the Evil Queen from Snow White, the Big Bad Wolf from Red Ridinghood, and the Sea Witch from The Little Mermaid, this school is a rogues gallery of fairy tale villains and it makes for an interesting, if terrifying, experience. Gilly has had to become a thief in order to keep her family fed since Cinderella’s Fairy Godmother started wholesale manufacturing the glass slippers that Gilly’s father invented and the boot-maker became poor, barely able to keep his family fed and their boot home safe and cozy. But, when Gilly gets caught stealing to provide for her family her parents and the police in their fairy tale community send her to Fairy Tale Reform School to find out how to be a hero and what she finds there are mysteries, friendship, her own desire to make the world a better place… and a lot of near-death experiences. Even though Calonita’s “Flunked” is a fun and playful story, it is also filled with social questions and critiques. Calonita raises questions about poverty and social inequality, illustrating what Gilly has to do in order to keep her family fed and raising questions about the morality of theft. She creates a connection to figures like Robin Hood by portraying Gilly stealing from the wealthy to provide for her family. Calonita uses the figure of the princess and the almost-worship they receive in order to ask questions about celebrity culture and ponder why so many people envy the wealthy and popular even when their policies may hurt those who are impoverished. Yet Calonita also questions social stigma and abjection, exploring the way that those who have been judged to be villainous have to constantly strive to escape from the stigma attached to them. The creation of the Fairy Tale Reform School is as much about finding a safe space for former villains as it is about creating a space where people can acquire new skills and find the hero within them. With a Sea Witch who keeps forgetting everything she is doing and a spell to erase memory, the theme of erasing the past is a key one in “Flunked”, pointing to the way that one’s history continues to haunt one. Calonita asks questions about the boundary between hero and villain and challenges the easy morality of most fairy tales by complicating her characters. Gilly is uniquely suited to solving the world’s issues because she recognizes that villains have unique skills that others don’t and that sometimes a villain has to do what a hero isn’t capable of doing. 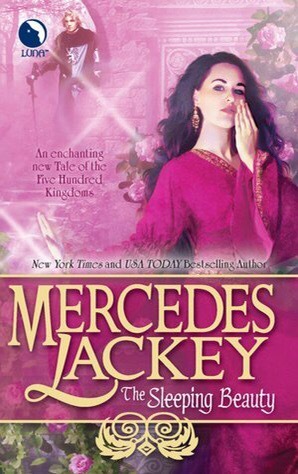 A Mirror BrokenA review of Mercedes Lackey’s “The Sleeping Beauty” (Luna, 2010). In the Five Hundred Kingdoms, The Tradition is the binding force of the universe, pushing people toward traditional tales whether they are happy-ever-after’s or tales of tragedy. The Fairy Godmothers are aware of the power of The Tradition, and it fuels their magic, but they need to be careful to push The Tradition toward happy endings and avoid fairy tale horrors. Fairy Godmother Lily has decided that the best way to help her kingdom to avoid misery is to teach the royal family about The Tradition and keep them attentive to the ways that tales may pull them into the grasp of a fairy tale narrative. Fairy Godmother Lily is contacted when the royal family notices a familiar pattern from The Tradition and realise that they are being pushed toward a Snow White tale and Lily, a godmother with power, a magic mirror, and the ability to perform decides to play the part of the evil queen in order to keep others who are actually wicked from taking the role. Mercedes Lackey entwines fairy tales together in a magic inkwell to write her tale of change and new beginnings in The Sleeping Beauty, combining elements from Snow White, Sleeping Beauty, and the tale of Siegfried and Brunhilde. Rather than a kingdom asleep, she creates a kingdom awake, aware, and willing to take control of a destiny that seems to be pushing them toward predictable ends. There is nothing predictable about this combination of tales and from this cauldron of possibilities comes new potentials and new sources of empowerment. Rather than rendering her Snow White as a passive figure, waiting for a prince to awaken her, Lackey’s Rosa is a princess who is able to protect herself, her kingdom, and those who love her. She is a princess who learns magic, combat techniques, and the power to rule a kingdom through her curiosity and insights. Lackey depicts the domesticity of the traditional Snow White tale as a form of slavery, resisting the Disneyfied rhetoric that women belong in the kitchen, caring for men. Lackey’s Dwarves are cruel and misogynistic and literally chain her to the home, seeking to take away her freedom, but Rosa is able to persevere and is able to count on other women for support rather than relying on a rescuing male figure. When princess Rosa is required to chose a king, The Tradition pushes them into a contest of wills that would normally result in her being taken as a prize, depersonalized, disempowered and completely objectified, but Rosa and Lily are able to shift the assumed story line to build their own take on the tale, wielding The Tradition for their own purposes. Lackey projects herself into this tale as Rosa and Lily since Lackey herself is a women who is changing a traditional tale to empower women, taking away the bindings and constraints placed on Rosa constantly throughout the tale is a metaphoric release from the bindings of narratives and Lackey illustrates that any reader or writer of fairy tale fiction is capable of shifting the narrative from disempowerment to new possibilities. Like the other tales in the Five Hundred Kingdoms series, The Sleeping Beauty is about the changeability and shifting nature of fairy tales rather than their constraints. Although The Tradition seeks to place the characters into stereotypical roles, characters are able to change those roles by self-realization, knowledge of new skills and ideas, and the tenacity to not give in to social pressure. Mirror mirror on the wall, whose tale is the most changeable of all? 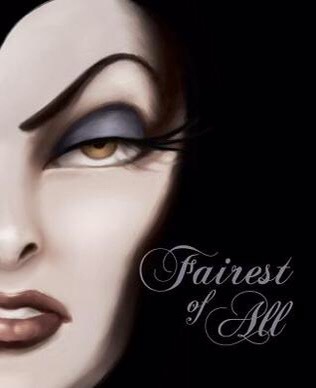 A review of Serena Valentino’s Fairest of All: A Tale of the Wicked Queen (Disney Press, 2009). Serena Valentino’s Fairest of All is a tale of mirrors and of mirroring behaviour. Valentino provides a backstory for the Evil Queen from Snow White and the Seven Dwarves, giving this tale of terror a darkly psychological quality by dipping into the mind of the Evil Queen to find out what sort of shadowy past can produce such misery. This tale of mirrors is deeply reflective. Mirrors have shaped the Queen’s life. She was born to a mirror-maker and was ultimately despised by him because she was the mirror image of her mother who died while birthing her. He is unable to look at her without seeing a reflection of everything he once loved and was ultimately turned to sorrow and horror, so he tells her that she is a hideous monster, someone that no one will ever care about. His abuse ultimately shapes the way she sees herself, building in her a fundamental lack of self confidence and need for external acknowledgement. Like many people who have experienced abuse, the Queen is haunted by the spectre of her father, a father who appears in her mirror, always seeing his face overlaying hers, illustrating the way his control of her keeps overtaking her individual will. Valentino reveals that this is not a Queen who is poisoned by vanity, but rather a queen who is poisoned by self-loathing brought on by abuse. She is a Queen who becomes isolated and whose own heart is crushed by the notion of love lost that is not able to be retained. This tale of mirrors is a tale of reflection.